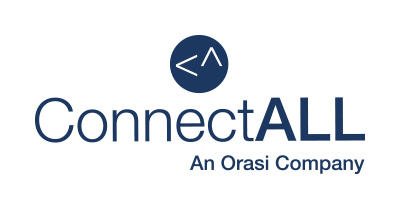 GARTNER SYMPOSIUM/ITxpo, Orlando, FL., October 11, 2018 — ConnectALL, LLC, which was recently formed in a joint venture between Orasi Software and Go2Group, today announced its participation at the Gartner Symposium/ITxpo 2018 in Orlando, FL, on October 14-18 to share the strategy of strengthening its offering of connecting people, processes, and tools and helping businesses to deliver higher value and agility. Highlighting the current scenario that businesses face in the digital era, the company recognises that CIOs are under pressure to create greater value for customers through innovation, while reducing time to market, improving quality and increasing efficiency. Agile and DevOps are key digital transformation practices employed by enterprises in modernizing their application delivery, but these are not enough to prove their transformation is delivering real value that can be measured and optimized. Practicing an approach that brings end-to-end value stream management is a key success factor. Brett also emphasized that with the joint venture, customers and partners can expect world-class support from the ConnectALL team, along with a professional sales team getting them on board; expect more code releases, product enhancements, and a better user and customer experience. Catch the ConnectALL team at the Gartner Symposium/ITxpo 2018 at booth number 945 to find out how better integration will benefit your company. Also join Lance Knight, SVP and GM, ConnectALL, at his session "Digital Transformation Success Through Value Stream Management" and learn how end-to-end value stream management of connected lifecycle can enable digital transformation success. It is scheduled from 12:10-12:30 PM on Monday, October 15. Gartner Symposium/ITxpo 2018 is the No.1 Conference for CIOs and Senior IT Executives. It is the place to hone your leadership skills, refine your strategies, and find the innovative technologies that will help to power your digital transformation. Explore the strategic trends and technologies that are shaping the future of IT and business at Gartner Symposium/ITxpo 2018. Thousands of CIOs and senior IT executives will come together in Orlando to discuss key topics including data and analytics, artificial intelligence, machine learning, culture, customer experience, cybersecurity and more. For more information, please visit https://www.gartner.com/en/conferences/na/symposium-us.  ConnectALL®, an Orasi software company, powers businesses in achieving higher agility and increased velocity. Teams from software development and delivery, IT and business units across large and small enterprises worldwide use ConnectALL’s integration platform to unify people, processes, applications and tools from multiple ALM and DevOps providers, such as Atlassian, HPE, Microsoft, IBM, Salesforce, BMC, ServiceNow, and more. Designed to break down barriers to continuous delivery, ConnectALL helps companies rapidly create business value by bringing software innovation to market faster and increasing productivity through cross-team collaboration.